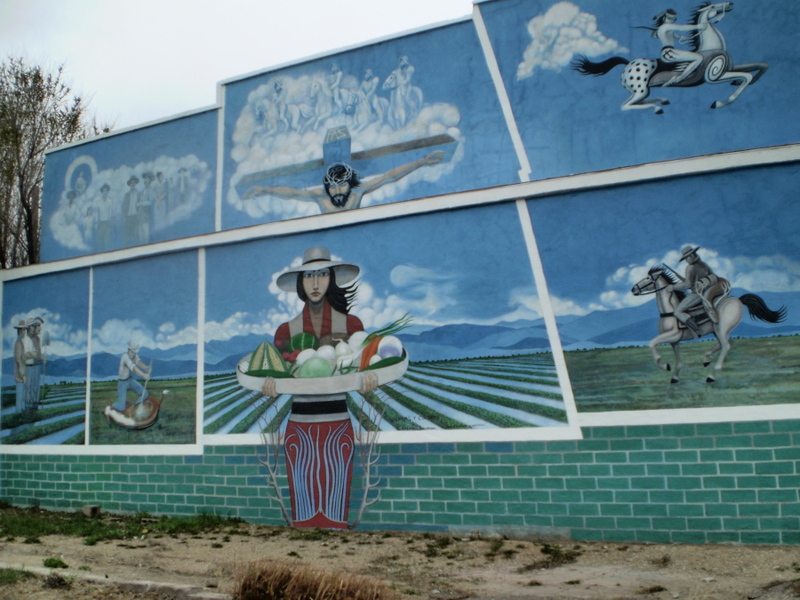 Over the last thirteen years, Howard and I have been to San Luis, Colorado several times. Howard drove down there once in 2001. I saw it for the first time in 2002. We were there again in 2007 and in 2010. This particular trip makes it number five. 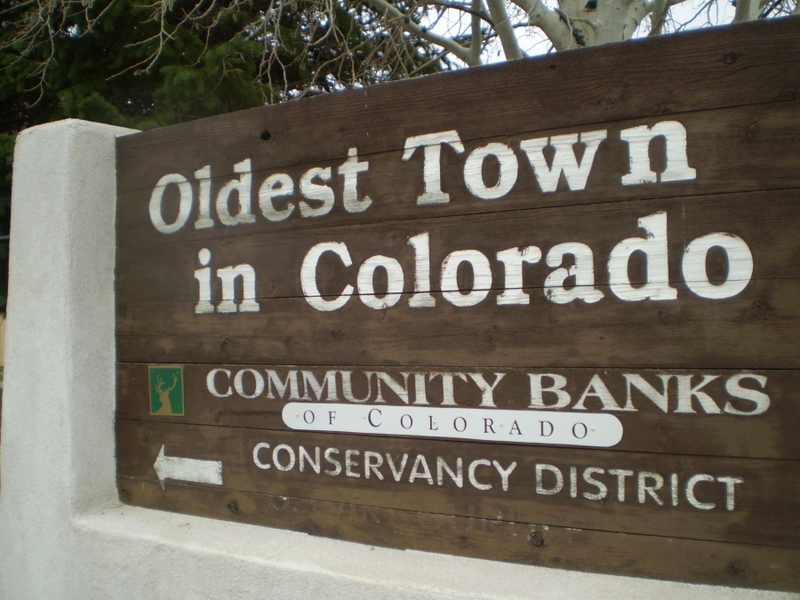 And yes, it is the oldest town in Colorado. Early Sunday morning, Howard decided to walk around the town. 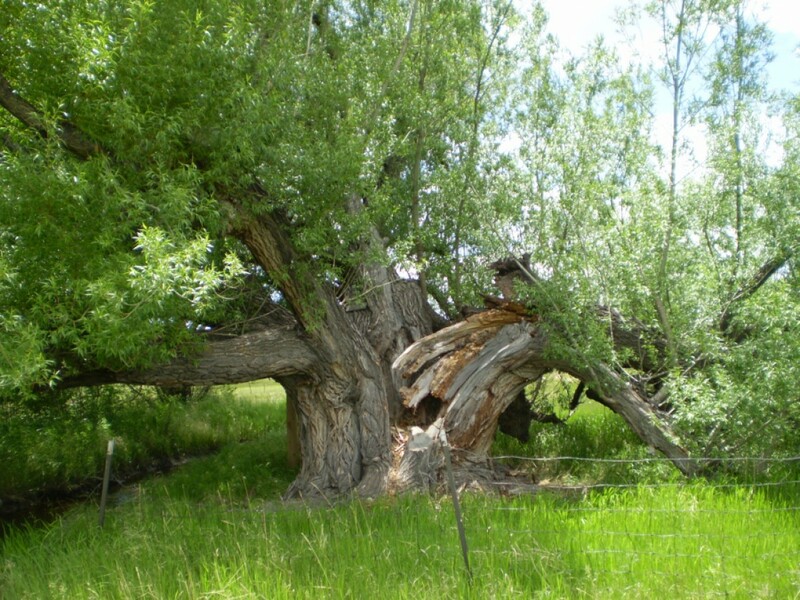 When I noticed the wind was picking up, I decided to go on my own excursion. 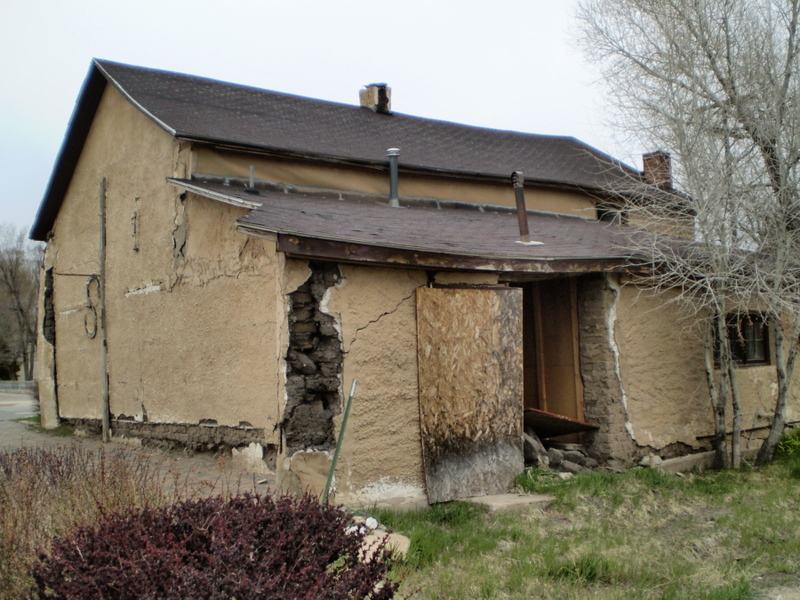 I had only gone a block when I saw a very old house. Remembering the places in San Acacio and the ages of some of those, I speculated that this house was built during the Civil War. 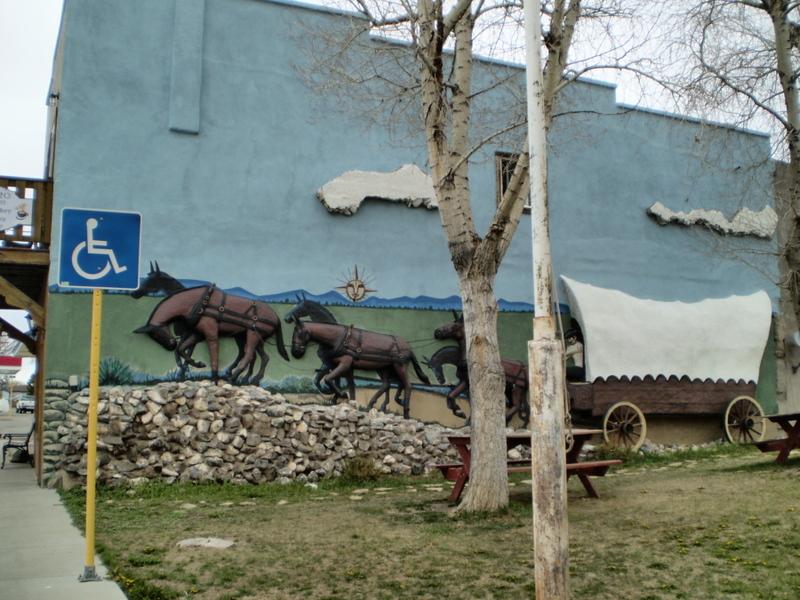 On my first trip to San Luis in 2002, we stopped at this very old hotel for lunch. 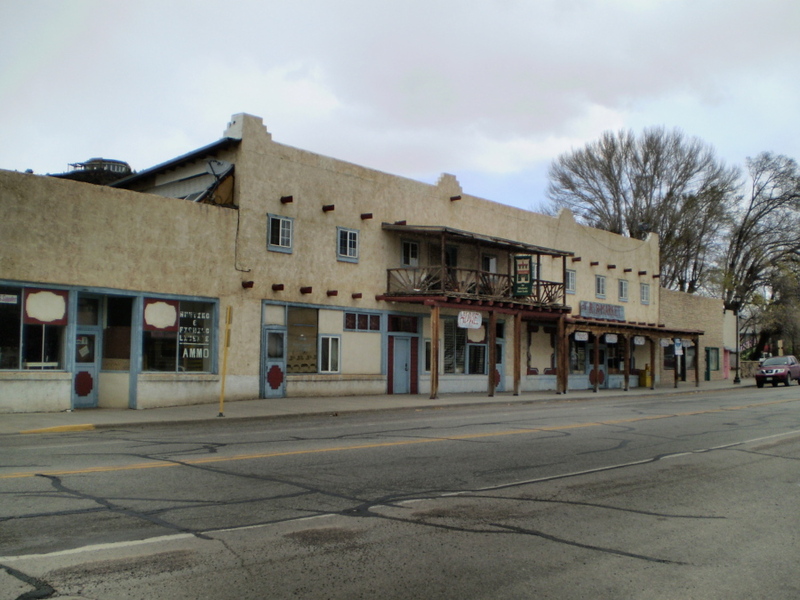 When we were there in 2010, we noticed the hotel had closed. 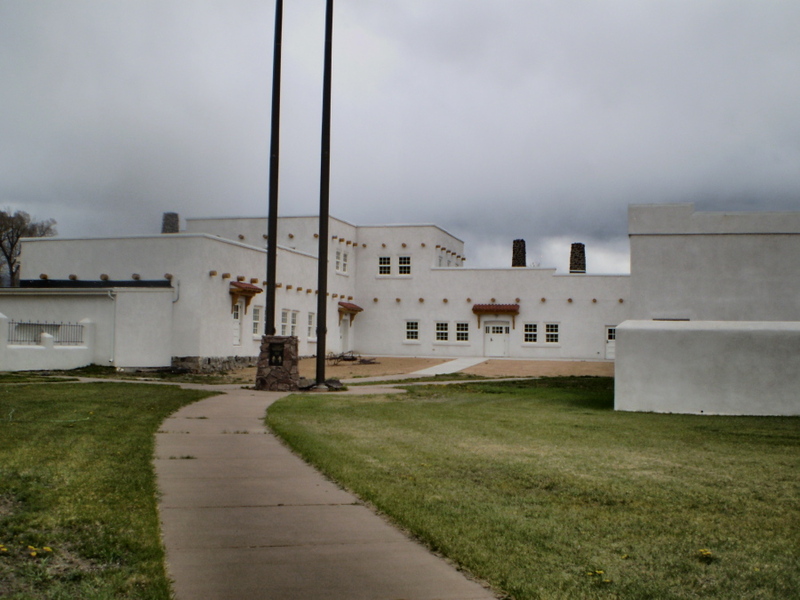 There was talk five years ago that someone was interested in reopening the hotel, but that hasn’t come to pass. I walked past the art gallery. 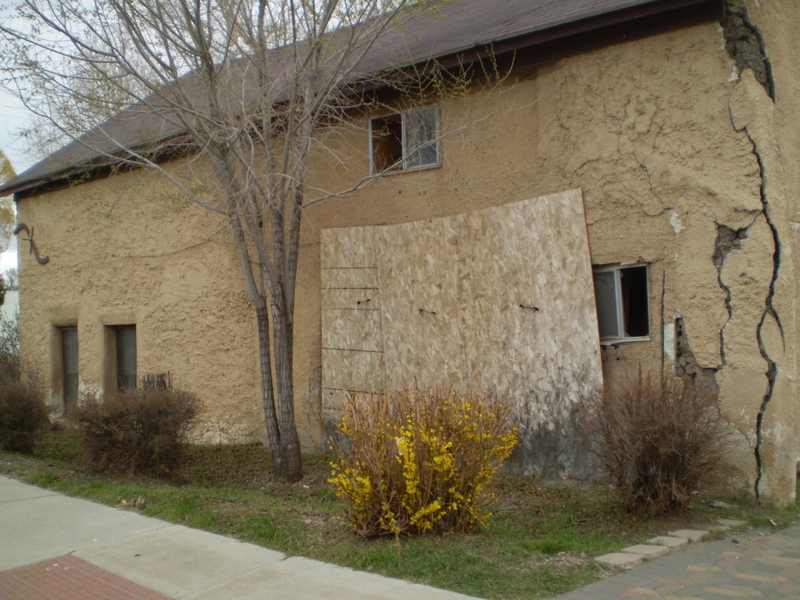 The other side of the art gallery is also unique. 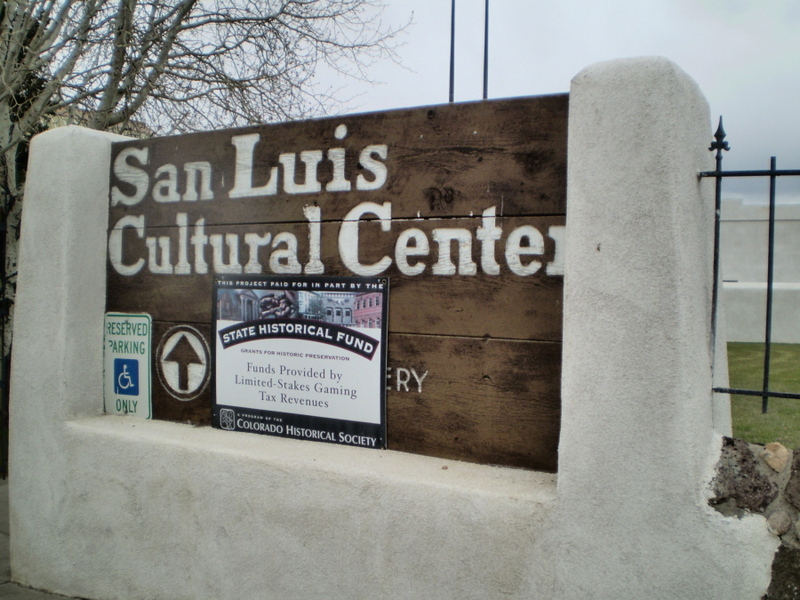 We’re not familiar with the San Luis Cultural Center. 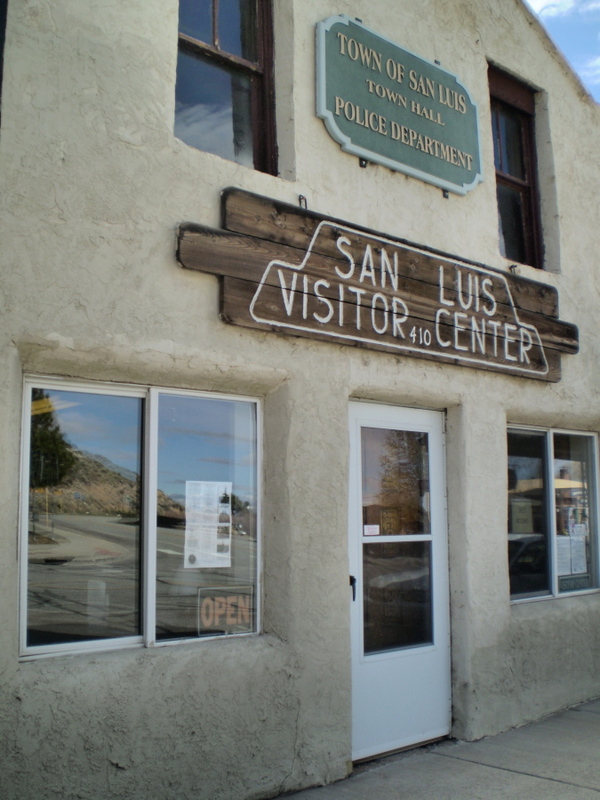 We’ve never been through it, but is definitely on our list of things to do the next time we are in San Luis. 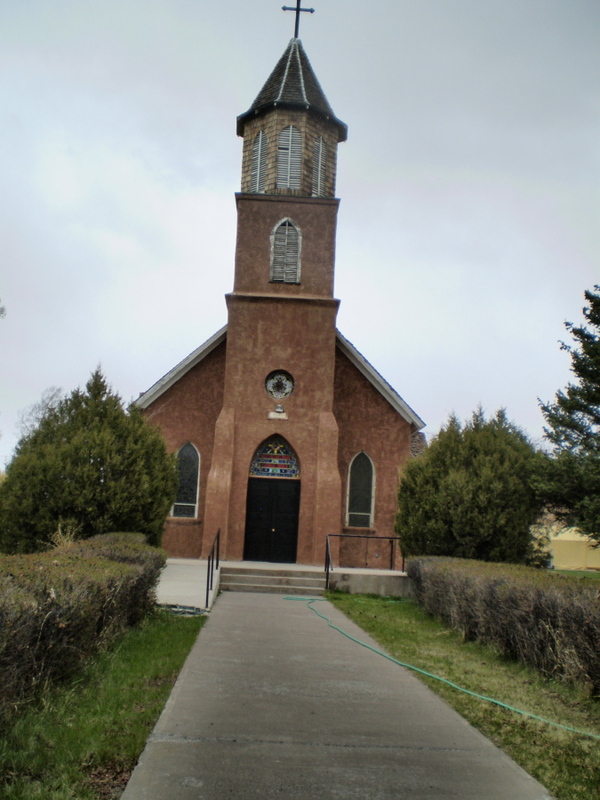 The Sangre de Cristo Parish was built in 1885. I have taken pictures of this church before. It was about noon when I took this photo. Services had ended at 11:30, and the gift shop had already closed. By now, the wind had really picked up, and it started to rain. 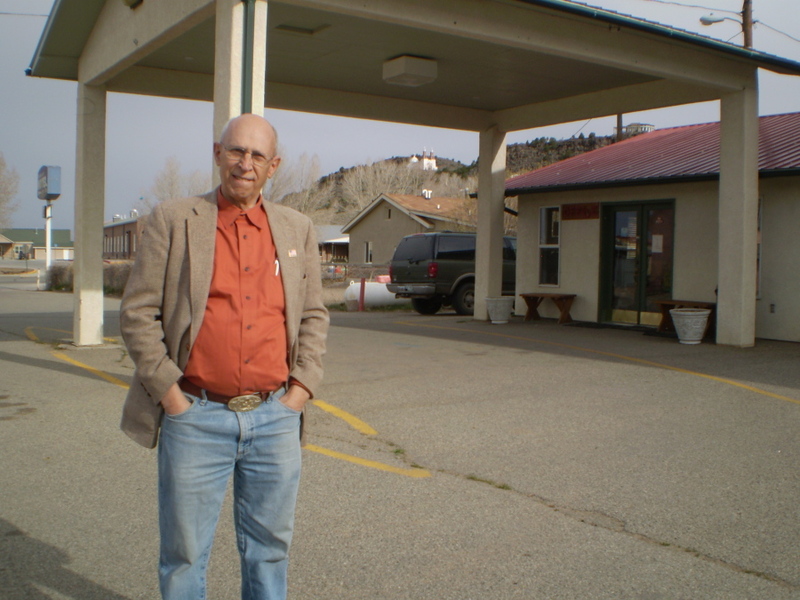 Howard met up with me and we hurried back to the motel. We wanted to visit the Stations of the Cross before returning home–another place we had never visited. Since the weather cleared up, we decided to go that afternoon. It would be our only chance.